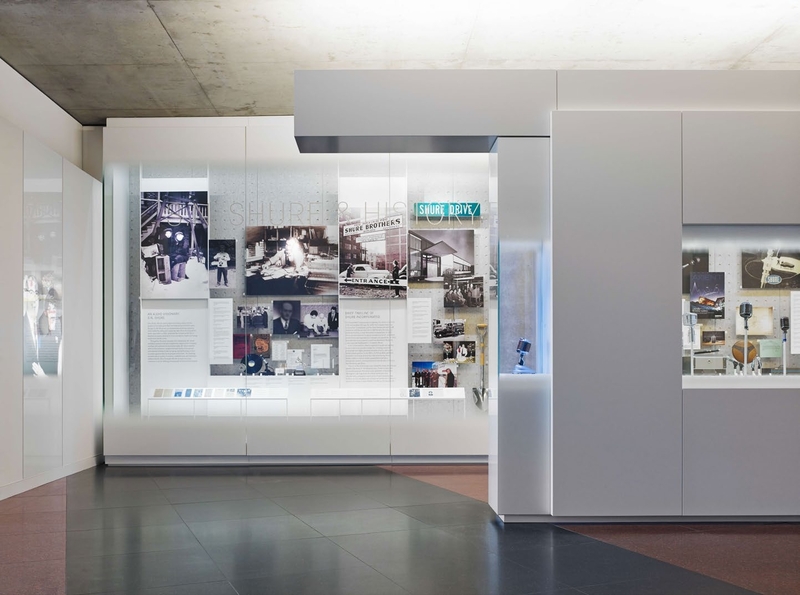 The Shure Gallery, designed by Krueck + Sexton Architects, is a dynamic arrangement of artifacts and ephemera that tell the story of amplified sound. Shure has crafted some of the most iconic microphones in America for the past 90 years. The company desired to showcase their landmark products, and Kreuck + Sexton responded with three unique types of exhibition spaces. 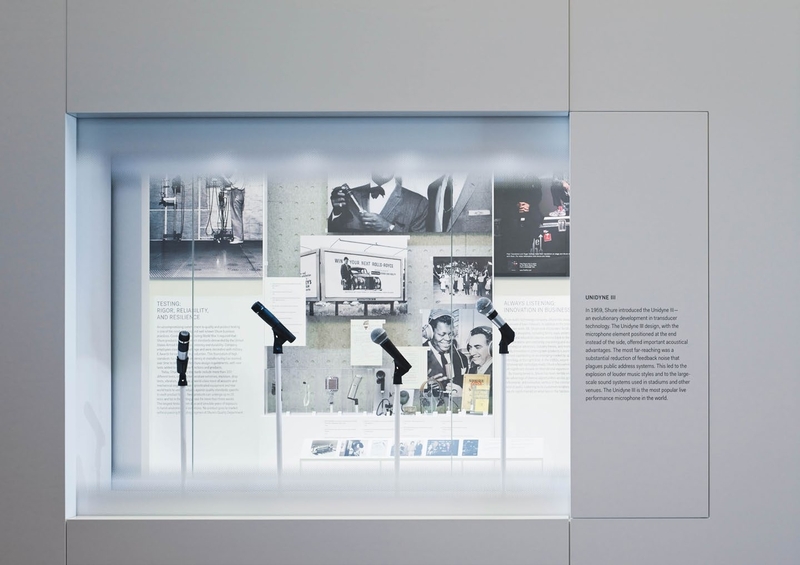 First, The Associates Wall utilizes technology to keep pace with changing events; The Icon Cases showcase the company’s landmark products using lacquered panel cases with hand-silkscreened patterns applied to the surface to blend lighting elements; and The Archive Wall showcases products and marketing materials. It lives behind a 90-foot-long-by-12-foot-high plane of glass. Jurors loved the exhibition space’s detailing, including the unique hardware needed to secure the massive glass wall. “It is incredibly customized, from the concept to the very hardware that secures the massive piece of glass,” one juror commented.